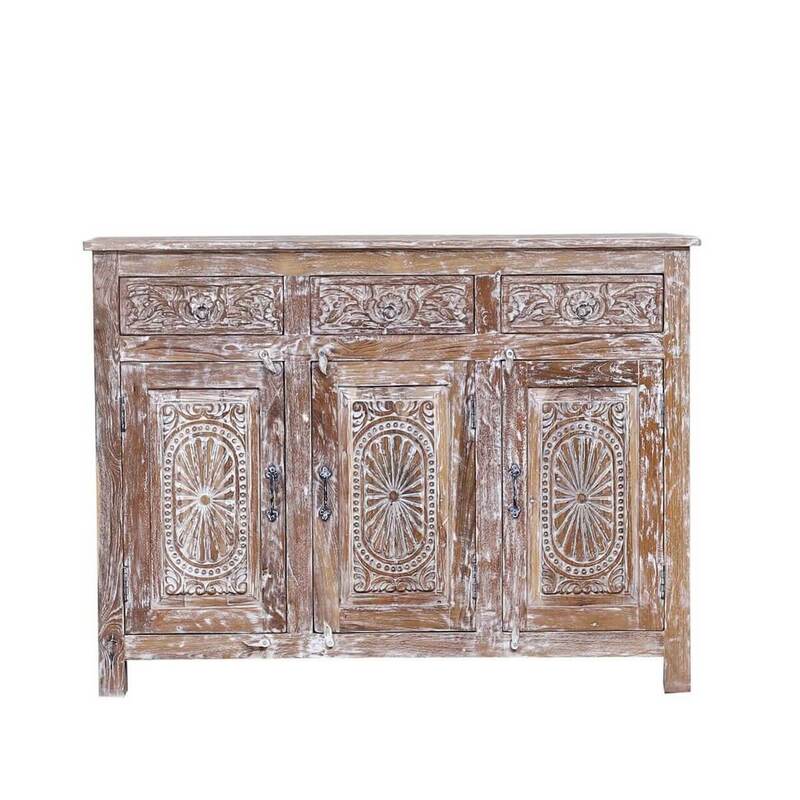 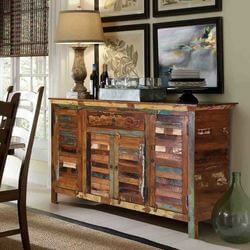 Give your dining room an exotic, rustic look with the warmth of our Vanduser Reclaimed Wood Hand Carved 3 Drawer Rustic Sideboard Cabinet. 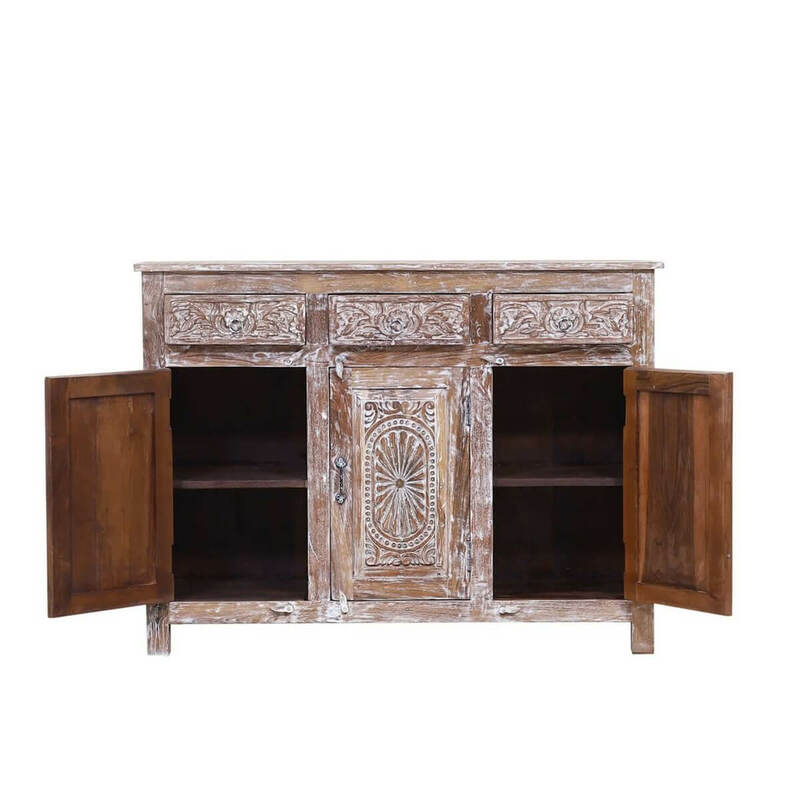 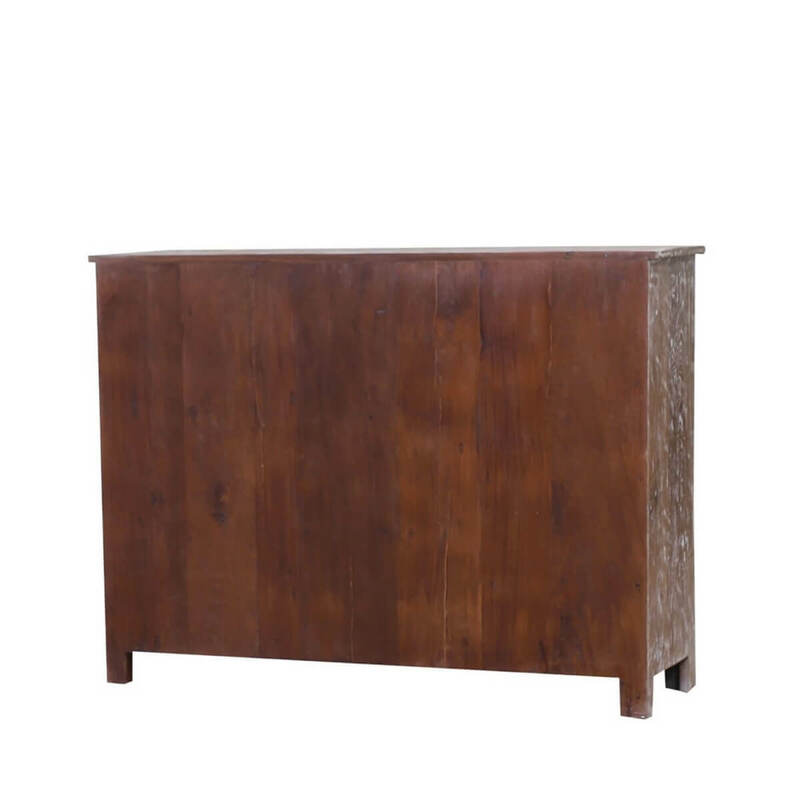 This reclaimed wood rustic sideboard for dining rooms will enhance the beauty of any room it graces while bringing with it excellent storage and serving capabilities. 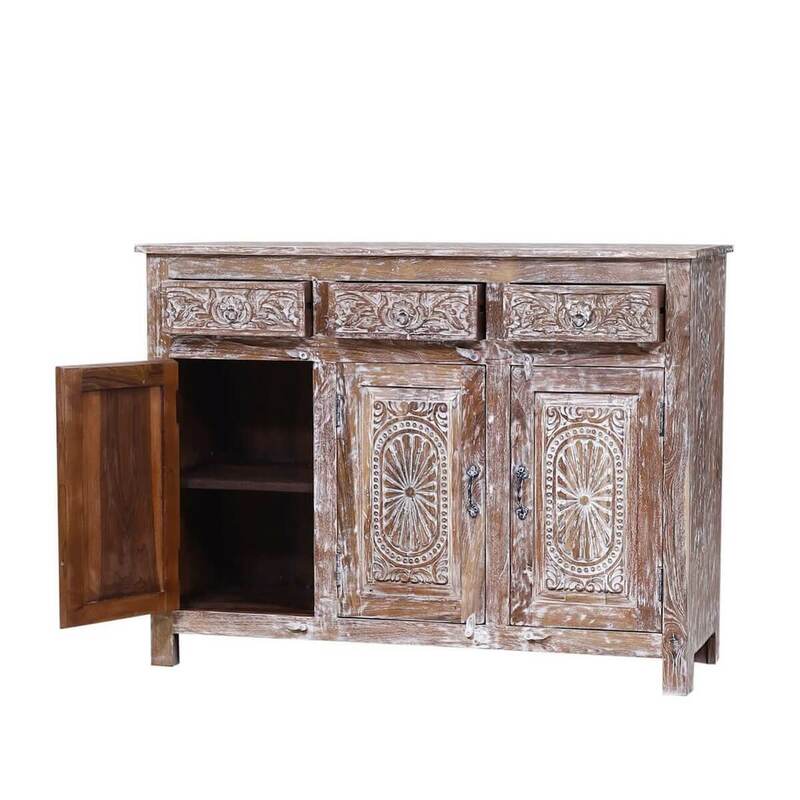 It boasts a robust construction forged from old world handcrafting techniques that ensure it will last through the generations. 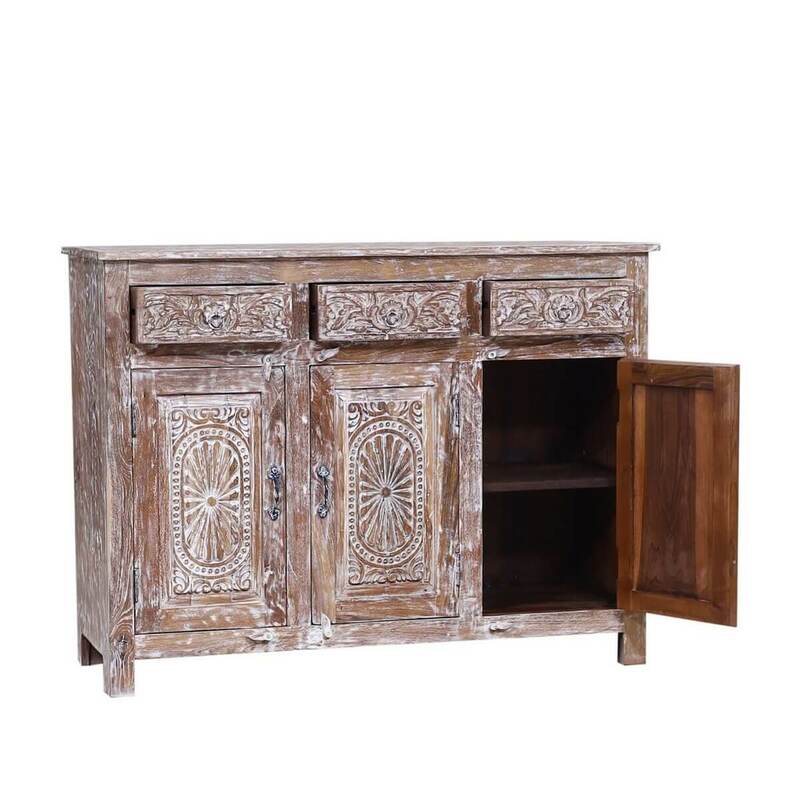 Likewise, this sturdy design makes it an excellent piece for your kitchen as it effortlessly houses your appliances or coffee station, with ample concealed storage that grants easy access to mixers, dinnerware, fine silverware, table linens, and anything else you wish to discreetly stow away behind closed doors. 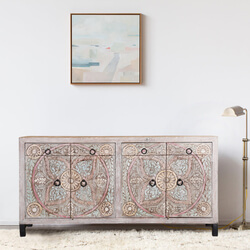 The forefront of this solid wood sideboard buffet reveals an ornate, hand-carved design on the three cabinets doors and three drawers that captures a globally-inspired motif. 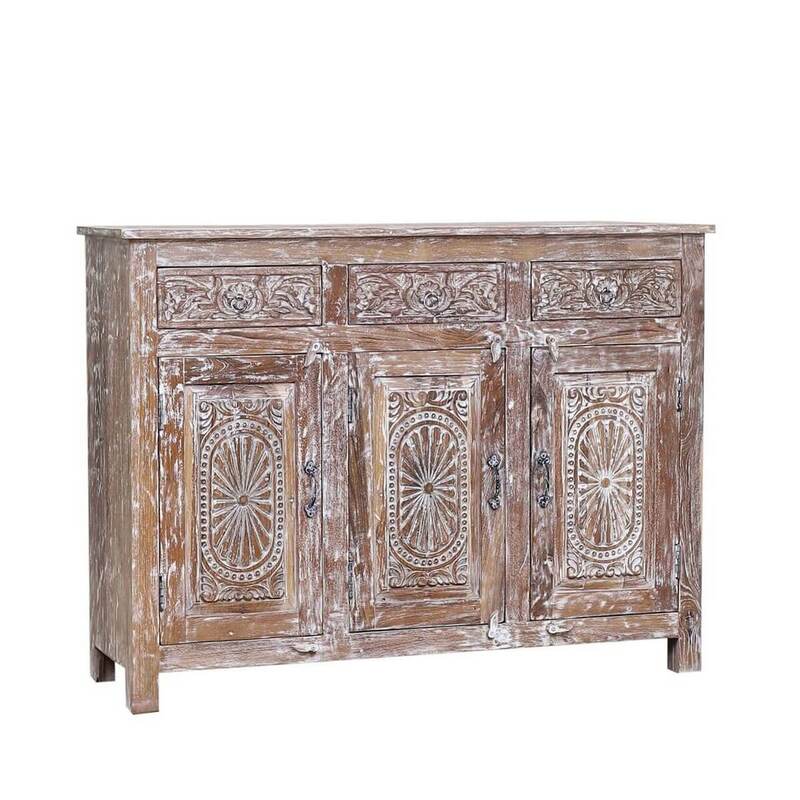 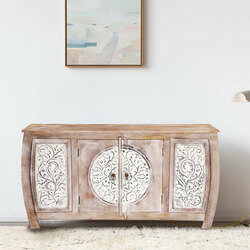 Crafted from solid reclaimed wood, the distressed white finish of this weathered cabinet grants a touch of rustic appeal. 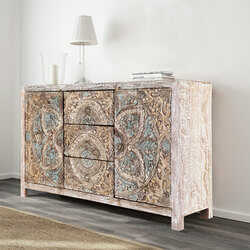 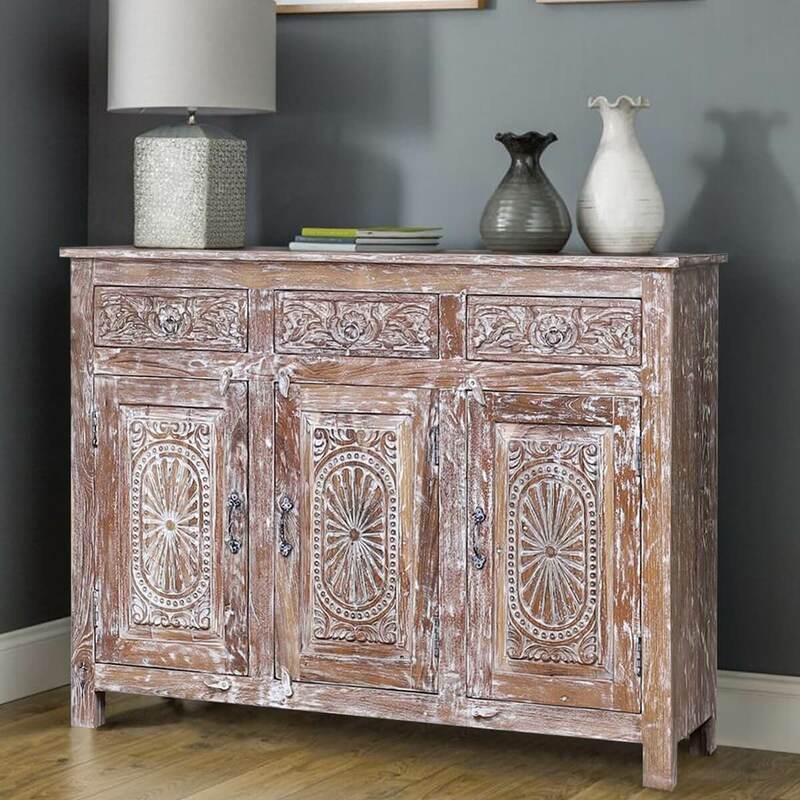 This hand-distressed finish serves to highlights the natural variations of the wood grain, while the intricately carved scrolls and medallions impart a sense of grandeur and style to this truly versatile design. 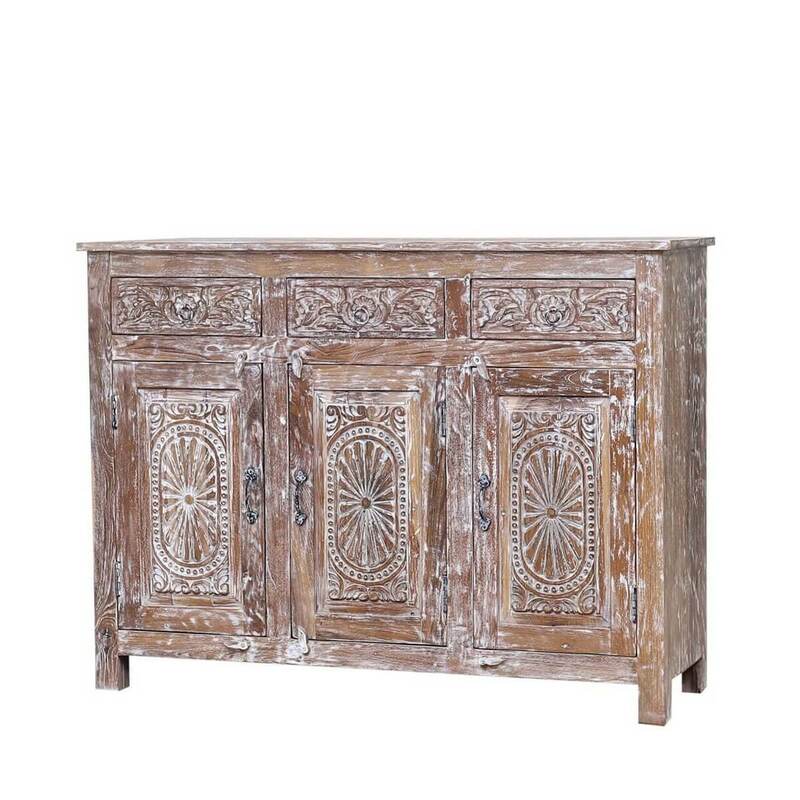 Antique metal hardware complements the rich hardwood to complete this hand carved sideboard cabinet for elegance in any room of the house.